Kami is the 12 year old daughter of David and Trish Fedler of Fort Madison, IA. Currently a 7th grader at Fort Madison Middle School, Kami is an honor student involved in numerous activities including band, show choir and being a tutor/mentor. 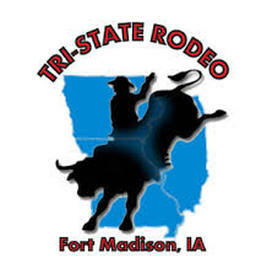 Outside of the classroom, Kami is a member of the Fort Madison Saddle Club where she competes in Open and Youth Shows in Western Riding Classes. She is also involved in gymnastics, dance and occasionally competes in dance competitions. Kami feeds her passion for volunteerism by helping with Relay for Life events, Vacation Bible School, her local community theater “Old Fort Players,” and also volunteering at the Tri-State Rodeo during rodeo week. Besides showing horses, Kami enjoys catching frogs in her family’s Koi pond as well as taking care of her 3 cats, 3 dogs and her beloved horse, Maggie. Watching medical shows is also a passion of Kami’s, as she hopes one day to be a physician and work for Justin Sports Medicine. Even with her busy schedule, Kami still finds time for fun with family and friends. 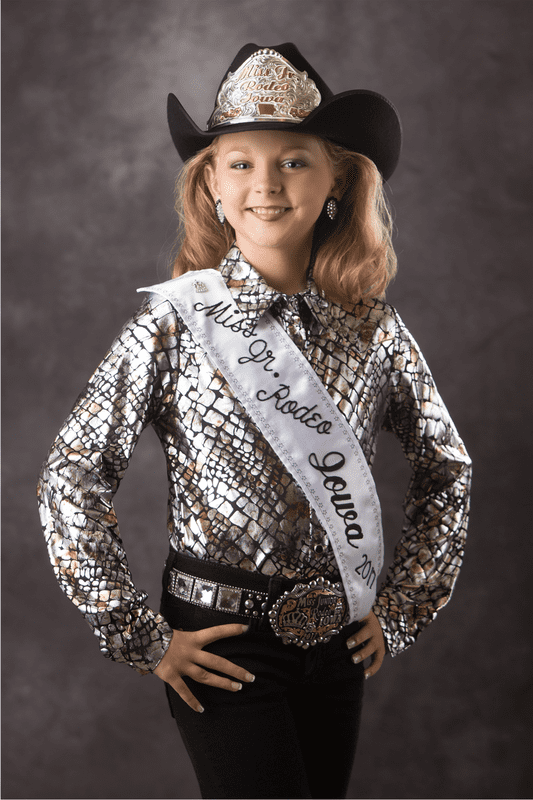 Being Miss Jr. Rodeo Iowa means being part of a group of ladies that Kami has admired her whole life. Kami looks forward to representing Iowa, professional rodeo and the western way of life, especially to her peers. Kami is grateful for such an honor and is excited for the adventures and new friends that this year will bring.